This article explains the cause and solution to a CODESOFT problem that causes a variable to display incorrectly on a barcode. 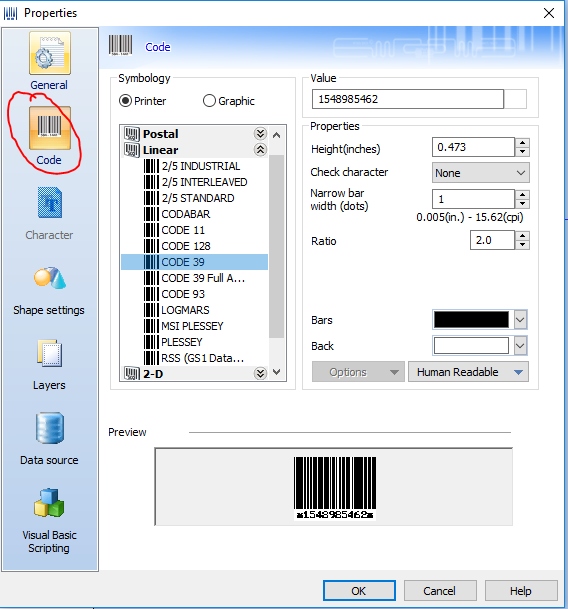 The variable data on a label does not display in CODESOFT as a barcode. To determine the cause of the problem, check the type of barcode defined in the label and verify that the data conforms to the barcode requirements.